Hi Everyone, it's Kathy today with a layout I created using the new The Graduates collection. 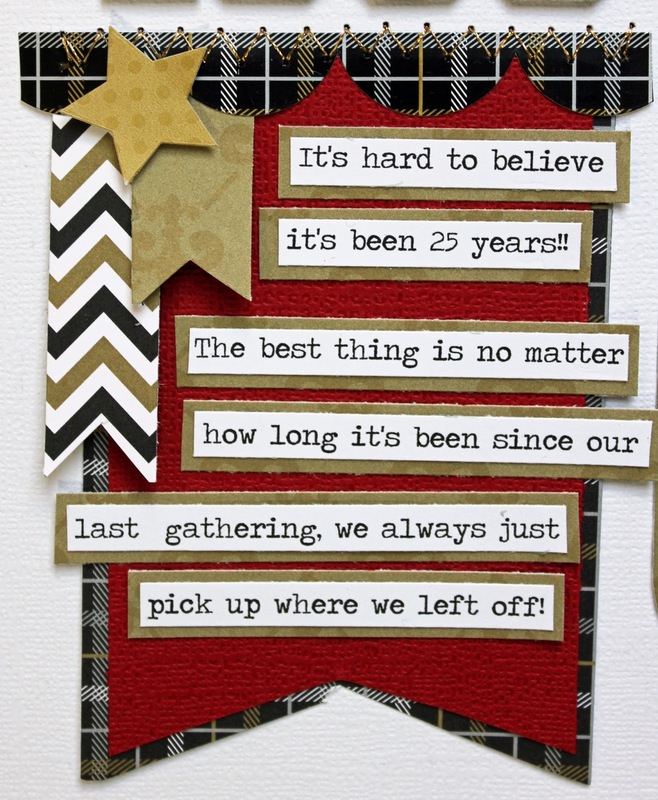 This was the perfect collection to create my project celebrating my 25th (gulp) reunion from college! You have to love the '80's big hair! The best thing about The Graduates is that you can customize it to go with almost any school color scheme! I pulled out the gold and black pieces from the collection and added some maroon cardstock... perfect for my alma mater! The back drop for my title was created using some of the gold Sprinkles Vellum. If you haven't tried it yet, it's wonderful and it cuts well using your electronic die cut machines! I wanted to show off some more of the patterned papers so I added a little 3x4 card and filled in the circles with different papers. For final accents I added some of the stickers from the Icon Sticker sheet and some of the new Graduation Star Sprinkles! They're so sparkly! Make sure to stop back and check out all of the design team's creations this week! That's it for me today, thanks for stopping by! Yep! Very nice page! I love how you incorporated the red and I really like the journaling!!! Love this page! Great photo! Love this page! The colors sure do POP! Wow this is a beautiful layout. Love the design. Thanks for the opportunity to win. I love that you can put other colors with this collection!! I shared this on Facebook too!! Owls are so dang cute. They raise the bar on any card. Great projects. This is amazing, Kathy! Loving all of the details and overall design! This is just fabulous! And I love the gold stitching!! Great layout! I love the way the school title the color and it pulls together so nicely. LOVE the colours & patterns of this collection and your design showcases them perfectly, while still keeping the focus on the photo and celebrating the moment :) REALLY like how you have inserted the PP's into the circle die cut too. 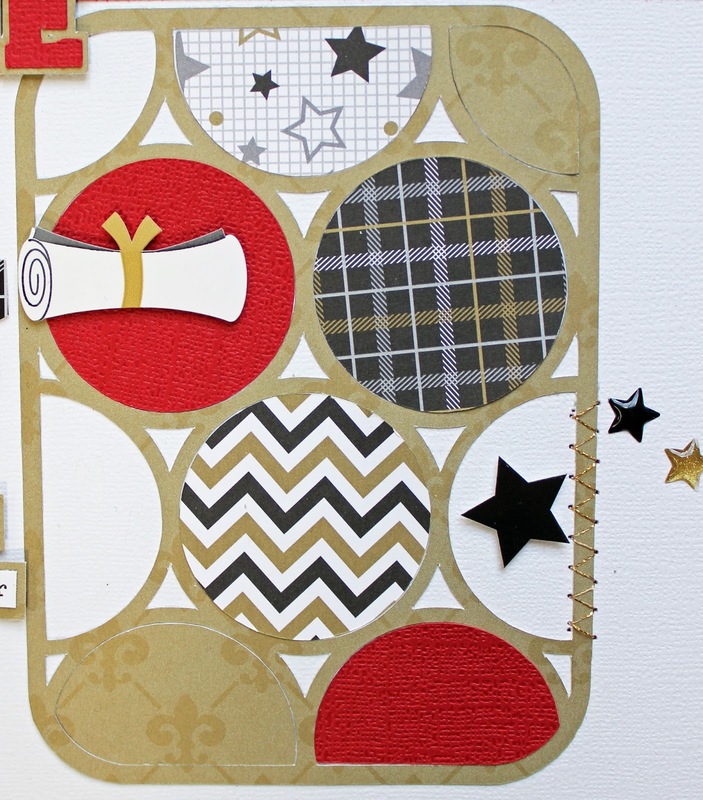 I pinned Kathy's circle die cut card, the PP's look fabulous!!! That's so cute and will work for guys and girls! 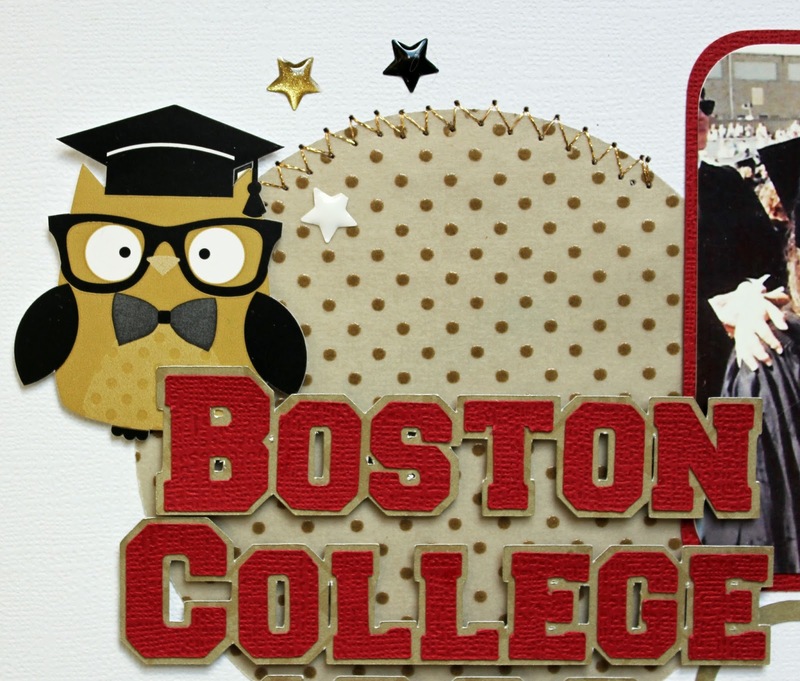 I pinned Kathy' fantastic Boston College Grad LO to my Pinterest! Fabulous page Kathy!! Love the touch of red!! !